Laravel development is one of the most popular undertakings of the PHP framework. Only 3 years old, it has proven itself superior over other platforms quite resoundingly. So, why Laravel is such a favorite with the developers? What sets it apart, is its elegant coding and simplicity? No wonder Laravel Application Development has gained so much credence in such a short span of time. Fast development speed, quick institution, and extension ability using multiple modules or ‘bundles’ have made it much in demand. According to the Social Media Examiner online magazine, 86% of marketers in 2013 considered social media to be essential for their business with 49% of marketers choosing Facebook as their primary social media platform. We are remarkably strong in coding and creating eccentric designs. Our team of Laravel programmers are always keen on learning which makes them reliable. We understand the importance of time that's why we deliver the requirements on time. Constant communication is our forte. We stay live with our clients anytime. Budgetary freedom is what we believe in and we have solutions for every monetary limits. Customer satisfaction is our prime concern. 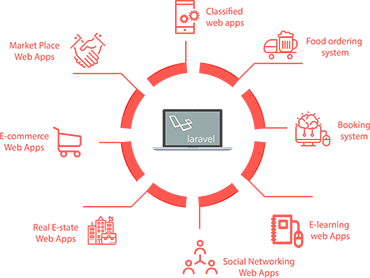 PulseInfotech is a fast rising laravel development company. By now it has successfully deployed diverse laravel projects. 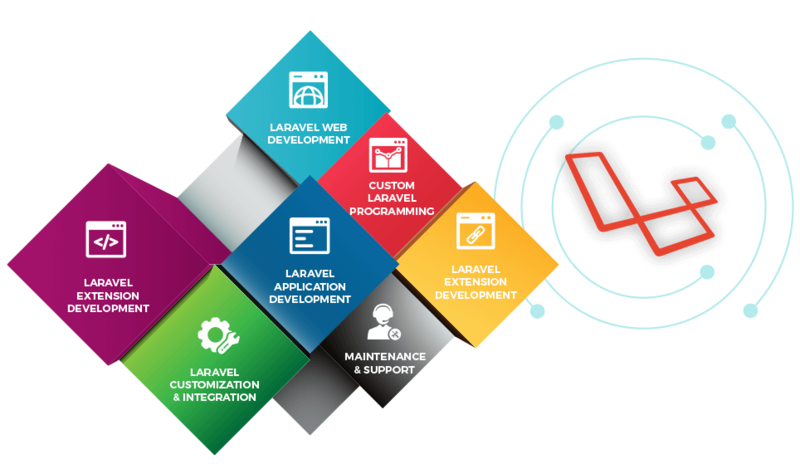 We are experts at offering responsive and customized Laravel website development. Bundled Features: Presence of bundled features in Laravel allows easy app extensions. Modular packages make it easy for programmers. Fast Developments: Modular instinctive packaging system saves lots of time in development. Also, customization and setup processes are very simple. Regimented Coding: This allows application of finest execution practices. Separate files for SQL codes means stress free coding with the ease of monitoring and maintenance. Amazing Migration: Version control for database schemas helps to associate changes in database blueprint and code base of apps, facilitating updates and deployment. Reduces operations costs by developing automated application development systems that upgrade your manual processes. Unit Testing: This vital component of Laravel framework contains numerous tests for avoiding regressions through proper identification. Fluent Query Rebuilding: Eloquent supports query building in Laravel allowing constraint enforcement between databases multiple objects. This is a popular feature..